Kerge is a simple yet powerful WordPress theme for the perfect promotion of your professional skills and experience. The theme includes 8 prepared demos for various segments of your professional activity. Each demo has light and dark mode to suit your mood and underline your unique attitude to work and life. Kerge includes amazing opportunities for style customization — from unlimited color schemes to 67 page transition effects. You can easily integrate YouTube and Vimeo videos, Google Maps, social links and buttons, pricing section, Instagram feed and other useful elements with convenient shortcodes and widgets. RyanCV is also a pretty straight-forward premium WordPress theme for CV and resume purposes. The theme comes with 4 demo variations, each of which includes dark and light versions. RyanCV has a perfect right-to-left support and is fully responsive on all mobile device like smartphones or tablets. RyanCV includes a flexible layout builder that offers you the full control on creating your unique CV design. You can also use some useful prepared elements and blocks. For instance, there is a special skills bar with percentage, which helps to showcase your experience in different subjects in a compact and clean form. RyanCV also has an amazing timeline options which provides you with opportunities to show your professional way in the most convenient way for a potential employer. The theme supports both single page website and multipage structure. Unique is a premium WordPress theme for CV and resume websites that perfectly fits for the beginners in the sphere of web project administration. Unique WordPress theme narrows its options to the most useful ones, which does not disturb a newcomer to the WordPress platform with excess knowledge. Unique allows a WordPress administrator to choose from 3 different layouts for his or her CV pages, use 36 prepared shortcodes, pick a color from unlimited opportunities and lots of other useful features. More than 800 Google fonts and more than 1000 font icons will give an opportunity to make your website stand out of the crowd. Certy brings news standards for online CV and resume projects within the WordPress platform. The theme focuses on mobile optimization and allows your CV to be available on any device and keep its pretty and unique design too. Certy comes with 8 prepared demos and the developers announce more demos coming soon. Certy stands out among competitors with 15 specially tailored blocks which you can use to amaze your potential employers. The most interesting blocks are: visual timeline for your work experience showcase, skills and statistics with percentage and grades, clients and references, special section for interests, contact form. calendar, blog and much more. Glitche is another versatile premium WordPress theme to underline your unique skills and work experience with a perfect CV or resume project. The theme has a focus on minimal design and provides 5 different demos to choose from. These demos can serve both as complete versions of your CV project and as the basis for building your own design. Glitche offers a WordPress administrator a great variety of customization options: from 6 background variants to unlimited color picks. Portfolio grid, visual timeline, skills with percentage bar and other useful features are packed into this premium WordPress theme. Glitche is suitable for both single and multipage CV projects. Promotion is a clean and beautiful WordPress theme that will definitely underline your unique attitude to work and life challenges. This theme provides you with 5 prepared demos, each of which allows you to use animated elements to attract the attention of your potential employers and keep them engaged with your resume`s exciting story. Promotion also includes an amazing opportunity to use video and image galleries as backgrounds for your main CV page. This is a winning strategy to impress every user who visits your personal portfolio page. 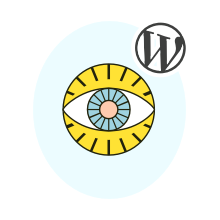 The theme is retina ready, mobile and SEO optimized, ready to be translated to any language of the world and has dedicated support forums for the beginners in the sphere of WordPress administration. Vertica represents another chance to create a clean and neat WordPress website for CV and resume needs. The theme offers a WordPress administrator the choice between 4 prepared styles and layouts. Vertica is very easy to customize within a built-in drag-n-drop editor, color picker, ready-to-use shortcodes and widgets. Vertica is retina ready and fully mobile responsive. It includes some unique features like smooth scroll, animated timeline or resume download button. Each of these features can appear a decisive one for the employer of your dream. The theme is built with HTML5 and CSS3 and powered by Bootstrap 3 engine. Pulse is a premium CV WordPress theme with a unique horizontal design. This feature is usually used to underline the academic status of a website owner. It means that Pulse offers beautiful opportunities not only for resume representation but also for research and publication showcase. Pulse includes a simple drag-n-drop editor to provide you with ultimate control on all website elements and their preferences. The theme includes opportunities to create personal blog and easy-to-use contact form. Live editing is also available with the built-in customizer.